What about the DFID/FCO good governance “bargain”? “The UK Government’s fundamental responsibility and objective is to ensure the security and good governance of the Territories and their peoples. This responsibility flows from international law including the Charter of the United Nations. It also flows from our shared history and political commitment to the wellbeing of all British nationals. 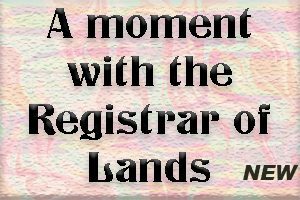 This requires us, among other things, to promote the political, economic, social and educational advancement of the people of the Territories, to ensure their just treatment and their protection against abuses, and to develop self-government and free political institutions in the Territories. 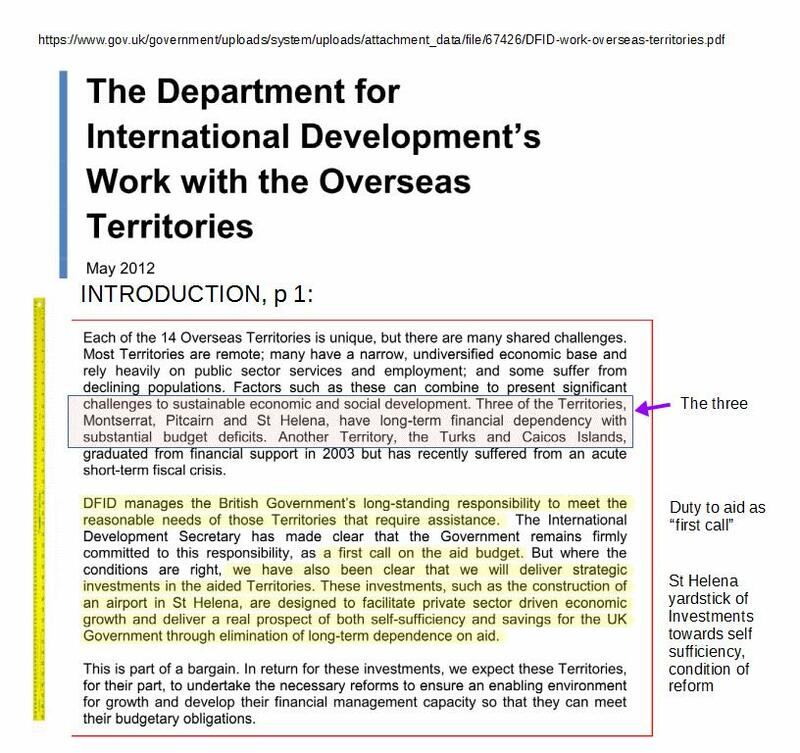 The reasonable assistance needs of the Territories are a first call on the UK’s international development budget.” [p.13, cf. UN Charter, Article 73] . . . .
As an FCO Officer, HE Governor Carriere therefore has good governance as her “job one.” No wonder she refers to it so often. Montserrat is the only other Territory on that list of three. In one phrase, good governance. So, if Montserrat is to move ahead on development partnership with HMG, as a parallel priority, we must – must! – significantly improve governance and our financial management capacity. a written Constitution based on a Bill of Rights and assented to by the people. As we look in this mirror, it is obvious that we have some work to do, setting an agenda for good governance reforms. Starting right there in the Legislature and the Cabinet, but also in the Civil Service and the various government agencies, projects and programmes. From that, it flows over into the community as a whole. As just one point, the 2010 Constitution Order has in it some fifty-eight (58) amendments that were never adequately discussed with the public before it was forced through as a resolution in a single day of parliamentary debate. So, let us again ask: if not now, then when? If not here, then, where? If not us, then who?